Armagh is a historic Cathedral City located approximately 40 miles south west of Belfast and approximately 15 miles from the border with the Republic of Ireland. 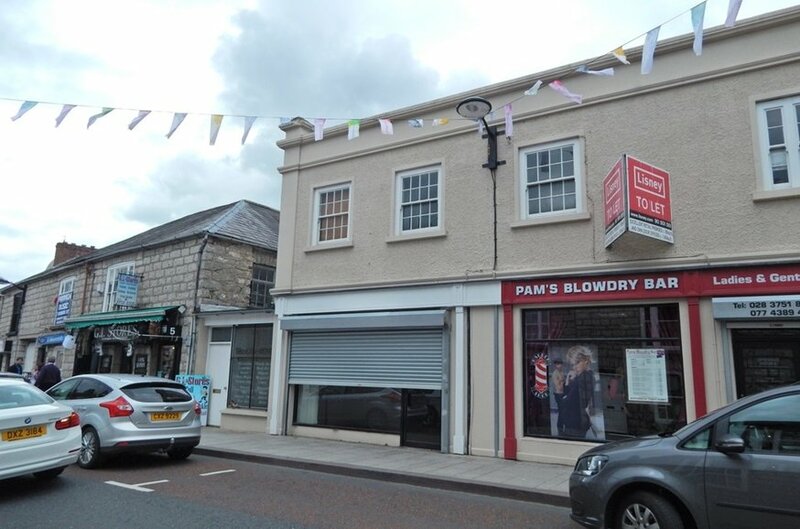 The subject property occupies a prominent location on Dobbin Street in close proximity to Scotch Street and the Mall Shopping Centre, the primary retail pitches in the City Centre. The immediate area comprises a mix of commercial and residential uses. Neighbouring occupiers include NFU Mutual and Boots the Chemist. The property comprises the first floor of a two storey period style terrace property. The property has been finished to a reasonable condition throughout to include suspended ceilings, carpet flooring and plastered and painted walls. Offers invited. For further details please contact the agent. A service charge will be levied to cover an appropriate proportion of the cost of external repairs and maintenance, security and upkeep of common areas. We understand that the current service charge estimate is in the region of £4,051 per annum plus VAT. 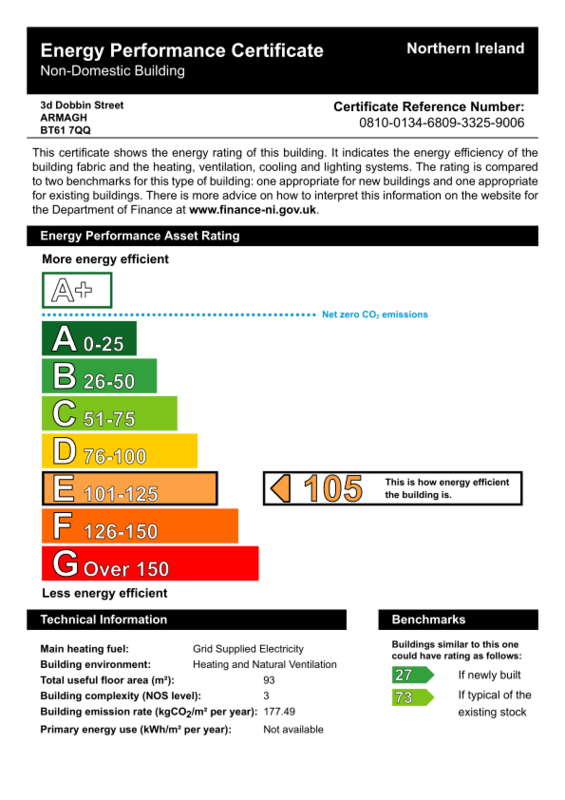 The property has an energy rating of D94. A full certificate can be made available upon request.